Mr. Hines founded his namesake firm in Houston in 1957. Since then, Hines has steadily grown into a global powerhouse in real estate investment, development and management. As a co-owner, along with his son Jeffrey, he sits on the firm’s Executive Committee, participates in new business and investor relationships and advises the firm’s regions on architectural excellence. Hines graduated from Purdue University with a BS in Mechanical Engineering and later received an honorary doctorate from the school. He is a frequent guest lecturer at major universities and a sought-after speaker at industry events. 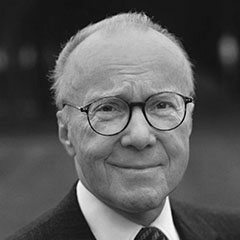 Hines is a recipient of the J.C. Nichols Prize for Visionary Urban Development and an honorary Fellow of the American Institute of Architects. Among his proudest accomplishments are the support of the Gerald D. Hines College of Architecture at the University of Houston and the establishment of the ULI/Gerald D. Hines Student Urban Design Competition.